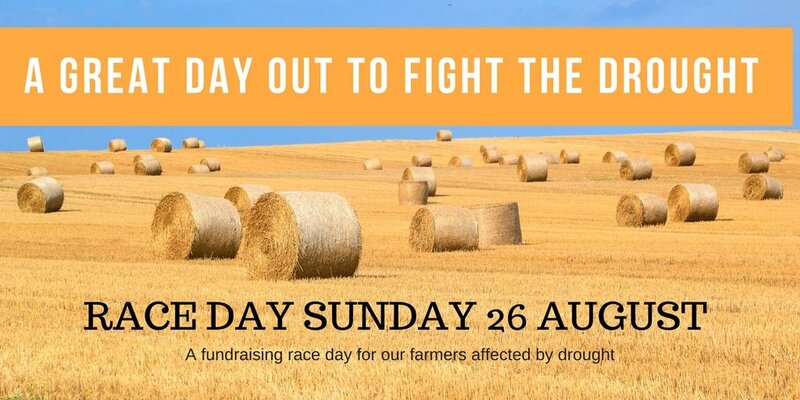 The Shoalhaven City Turf Club is pleased to announce the next race day on Sunday 26 August will be a fundraising day for the farmers affected by drought. Gate takings, monies from sponsorship, raffles and silent auctions as well as donations collected on the race day will all be given to farmers in need. “We would like to call on any farmers living within 100-150km of the Shoalhaven to contact us so we can assist those closest to home.,” SCTC CEO Lynn Locke said. Local business Hanlon Windows has come on board to partner with the SCTC to ensure the race day is a success. Another local company Dunn’s Transport will be donating a truck to cart hay and goods to the farmers. “We have a wonderful community and are hoping we will have a great crowd on the day to support this fantastic cause,” Lynn said. Lynn often jokes “if you want to break a drought give us a race day” after losing 5 meetings one year due to rainfall. However, the SCTC is hoping the rain will stay away for this race day so patrons will come out and support the farmers. “There are plenty of activities planned to complement the racing including Fashions on the Field, and we know many local businesses will donate prizes and services that we can use to enable us to raise a substantial amount,” Lynn said.